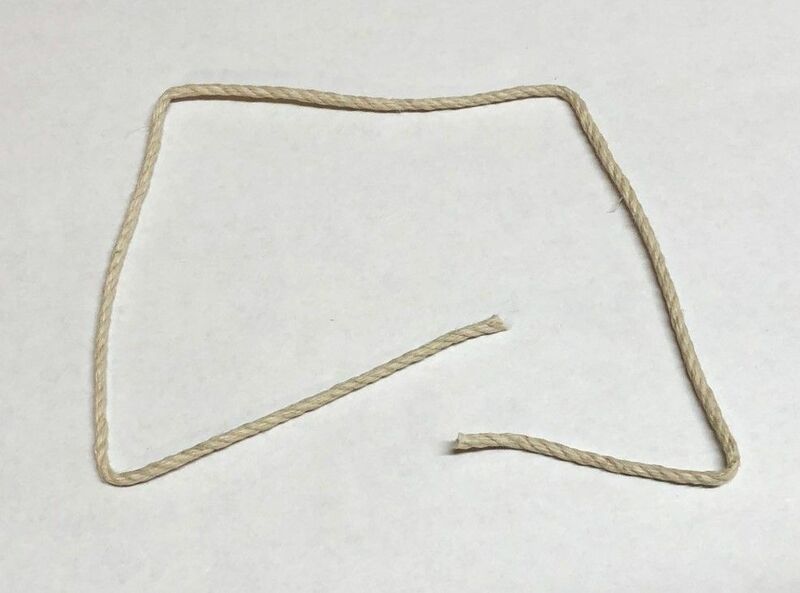 12" of hemp rope perfect for use as a hawser (a thick rope or cable for mooring or towing a ship)on your tug boat. The diameter of the rope is approx. .062" thick.